Obtaining affordable dental care doesn’t mean you have to take risks regarding quality of care. 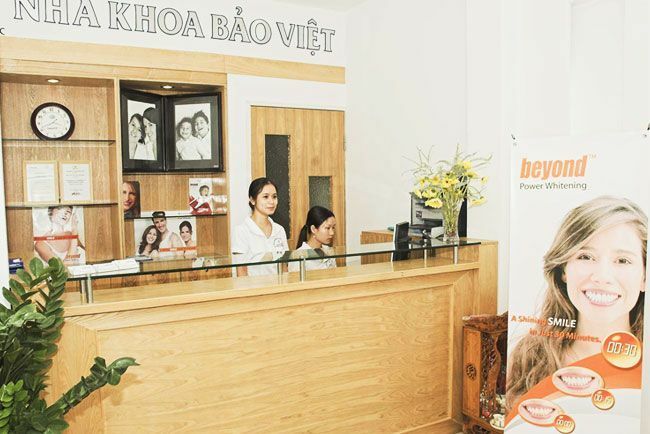 Our leading dentists in Hanoi provide comprehensive dental services for the budget-conscious traveler–and deliver superb results. Sitting on the banks of the Red River where human settlements date back to 3 BC, Vietnam’s capital today it is an attractive, compact city offering so much to see and do. Parisian ambiance of its grand colonial buildings and sweeping boulevards give Hanoi a certain European charm, while the busy streets, bustling markets and exotic street food all serve as reminders that you are in the heart of Southeast Asia. With a population of only four million, Hanoi is less densely populated than many of Southeast Asia’s other major cities, including Ho Chi Minh in the south of the country. A stroll through the rather chaotic Old Quarter is a must – but do look out for the swarms of scooters that zip through narrow back lanes, which themselves are often lined with food vendors and makeshift bars (all adding to the fun!). With so many distractions you’d be forgiven for not noticing the skeleton of the city–15th-century merchants’ houses, pagodas and temples, hidden from view by the swarming humanity going about their business. West of the Old Quarter is the Ba Dinh district, where the most important historical and cultural monuments of the city are located, dating back to the 11th century when the Imperial City was built, although only One Pillar Pagoda and the Temple of Literature remain. The city is a fusion of ancient and modern, and a recent construction boom has seen some of the tallest skyscrapers in the country spring up , drastically altering the skyline. Hanoi is a particularly cosmopolitan city and there is no shortage of facilities and amenities to satiate the needs of modern travelers. Dental patients will find the standards of dental care excellent, with plenty of things to see between appointments. The city lies on the banks of the Red River, in the north of Vietnam. 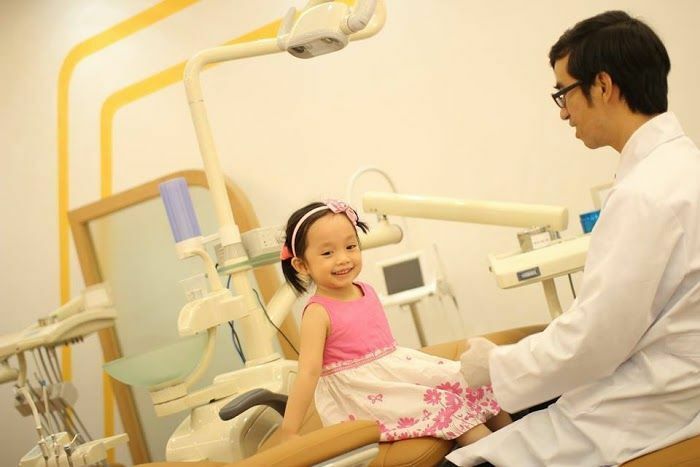 Why Visit a Dentist in Hanoi? 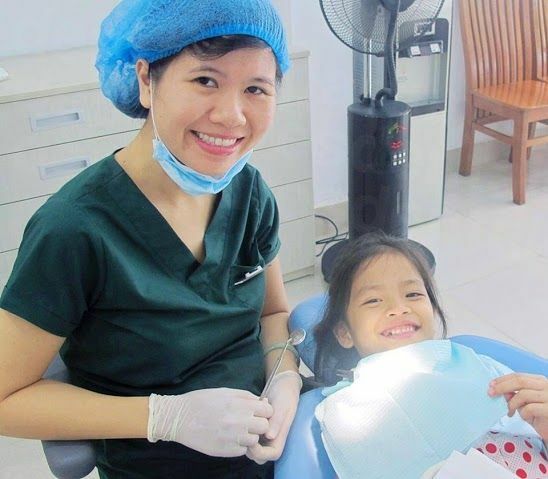 While medical and dental tourism in Vietnam may be slightly behind some neighboring countries in terms of inbound patient flow, this difference isn’t due to inferior skills and expertise of the country’s dentists. In fact, Hanoi has more than its fair share of good-quality dentists offering services to thousands of international patients every year. 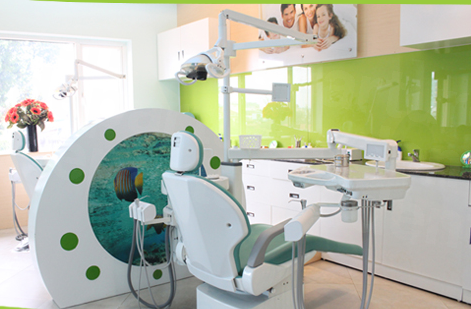 The best dental clinics offering these services tend to be contemporary and modern, equipped with the best technology and have medical staff, many of whom have trained outside of the country in Europe, the US, Australia or Japan. Part of the obligation of these clinics is to ensure international patients feel as comfortable as possible. 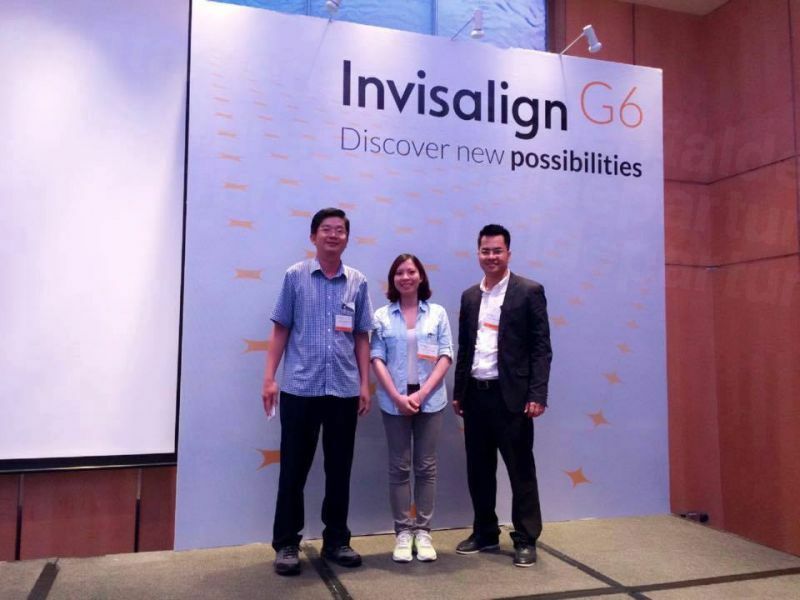 To achieve this, they employ English speaking dentists and often have internationally-recognizable qualifications, memberships or affiliations, such as to the International Congress of Oral Implantologists or the International Standards Organization . 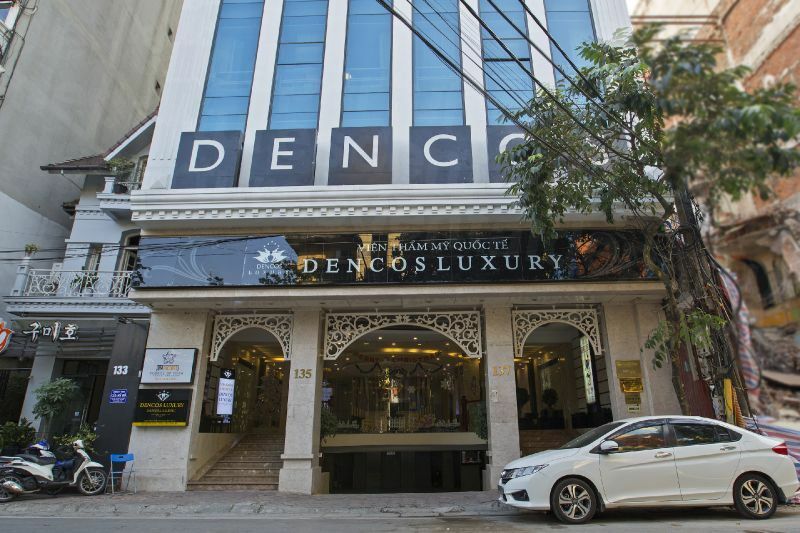 How Much Do Dental Procedures Cost in Hanoi? 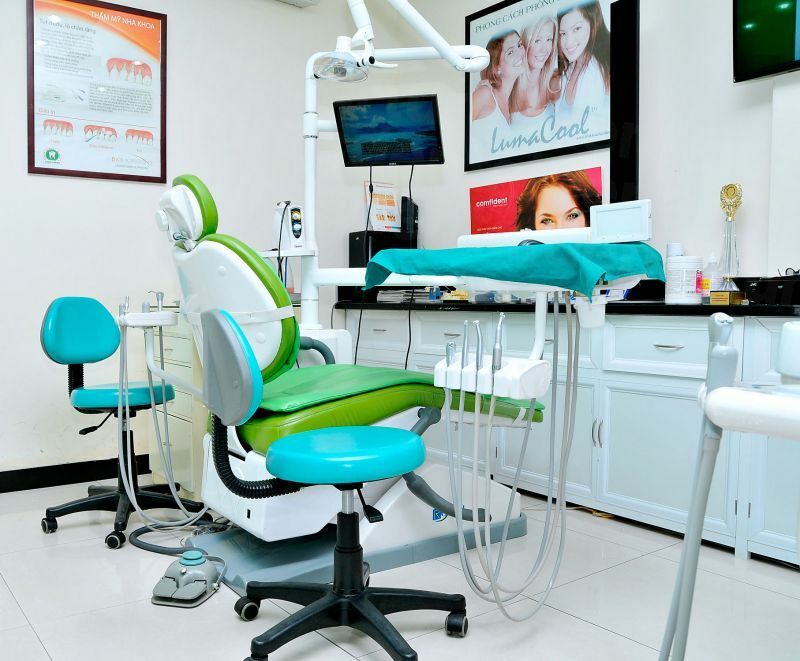 Be it Mexico, Europe or Southeast Asia, it’s common for international patients to be suspicious of low prices or even dental tourism as a whole , perhaps worrying that the materials used in procedures are inferior. However, this is an old misconception from many years ago, before the days of the Internet and modern medical tourism. 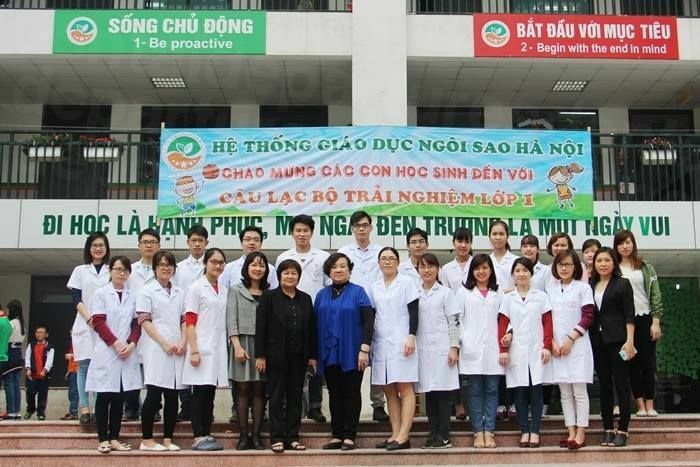 Dentists in Hanoi use the same materials your dentist at home would use, imported from the same manufacturers. Accommodation in Hanoi ranges from 5-star splendor (at an attractive price) to clean basic hostel rooms for a few dollars a night. Most of the major hotel chains are represented here, as well as some unique, quirkier options. So, whether you want to stay in French colonial grandeur or in the Old Quarter there’ll be something to suit your style and budget. Hanoi is a very safe city for tourists. There are no Western foreign office warnings about traveling here. However, fast, poorly maintained highways heading outside the city can be dangerous for motorbike and scooter riders. The quality of care is excellent, as long as you are prepared to do a little homework and check out your prospective dentist and clinic before you touch down. While there are excellent dentists here, there are also likely to be some not-so-good ones–and it’s these that you want to avoid. We always stress the importance of background checks, and it is important to look at a number of different factors that will give you an overall picture as to the reliability of a dentist or clinic. Our checks include criminal and legal records, dentist qualifications and professional memberships. If these stack-up, we also like to visit clinics and obtain real patient testimonials. Providing the feedback is generally positive, patient reviews can be used as an accurate barometer of the standard of care received. These, alongside our high-definition clinic photos, should enable you to make an informed decision about whether a particular clinic is right for you. What Happens If Something Goes Wrong? Does My Dental Sare Have Guarantees? If you have chosen a reliable dentist it is less likely that something will go wrong. However, even with careful checks, problems can occur no matter where you are in the world. Sometimes it may not be the dentist’s fault but rather your body’s own unique response to the treatment. Nevertheless, this isn’t much comfort if you do have a problem. Thankfully, all our clinics have guarantees on the work they do, and the materials they use, and if an issue arises with your treatment, we will ensure that it is resolved free-of-charge. This may become more problematical if you have already left Hanoi and need to travel back for any remedial treatment, especially if you are undergoing a more complex procedure. In this case, for your complete peace-of-mind, we would recommend that you take out medical complications insurance . It is a small extra expense but, should the worst happen and you do need to return, you will get all of your travel and accommodation costs reimbursed. Do the Dentists in Hanoi Speak English? Yes–our dentists speak English as well as Vietnamese–and some speak French and Italian. English is now the second language in Vietnam, rather than French–and is taught in schools. Our dental offices usually accept a variety of payments, alongside cash. You can check out the individual clinic listings on our website, but debit/credit cards, personal/traveler checks and bank transfers may also be accepted. Credit card transactions may incur an additional processing fee of 3-4%. It is improbable that your dental insurance will be accepted by your dentist in Hanoi. If your insurance has ‘out-of-network’ care it may be possible for you to claim back your expenses once you have returned home. Phone your insurance provider before you travel to check and make sure they send any forms or documentation you might need to bring along. You can visit all year round as our dentists are open throughout, apart from major holidays, like Christmas. The weather is warm and humid in Hanoi, especially in summer. The city receives the most rainfall between May and September, with other months being relatively dry. Winter tends to be overcast and foggy, but still mild. Certainly the newer hotels rated 3-star and above should be wheelchair friendly. Out in the city you may find it a little more difficult getting around, although some places are easier than others. In the Old Quarter, particularly, the sidewalks are littered with obstacles – from parked bikes to street vendors to groups of people standing around chatting. Dental Departures makes sure that all patients are able to gain access to the listed clinics on our site and enjoy affordable care around the world. Our Customer Care team will be able to advise you on how to get to one of our dentists – all you need to do is give us a call. What is the Downside About Visiting? Apart from the usual common-sense precautions you should take in any city, Hanoi is very safe. You should be aware of scams, especially when taking public transport . Make sure you agree a price, and be explicit as to how many passengers are going before you embark on your journey. Misunderstandings about fares are common. Roads can be tricky to cross, particularly in the Old Quarter where there are seemingly no traffic rules. Look for designated crossings or try to follow locals crossing as a group. There are a number of UNESCO World Heritage Sites in and around Hanoi that are well worth a visit. The Thang Long Imperial Citadel dates back to the 11th century, comprising several remarkable buildings, lovely gardens and is free to get in. Across from the main building is the original main gate – the Doan Mon Relic – and also the Vietnam Military History Museum and Tower. Elsewhere, a fine example of Hanoi’s eclectic cultural influences is the city center Hoan Kiem Lake, fringed with Banyan trees and an ancient Chinese pagoda in the middle; locals congregate at dawn for synchronized t’ai chi while tourists snap selfies in front of its iconic red-washed wooden bridge leading to a Buddhist shrine. You may also want to visit the Mausoleum of Ho Chi Minh, one of the all-time most popular tourist attractions in the capital. Ho Chi Minh’s body has been kept in state here since his death more than four decades ago, and there are still scores of visitors who come to see it. This is an austere place where respect and reverence required. 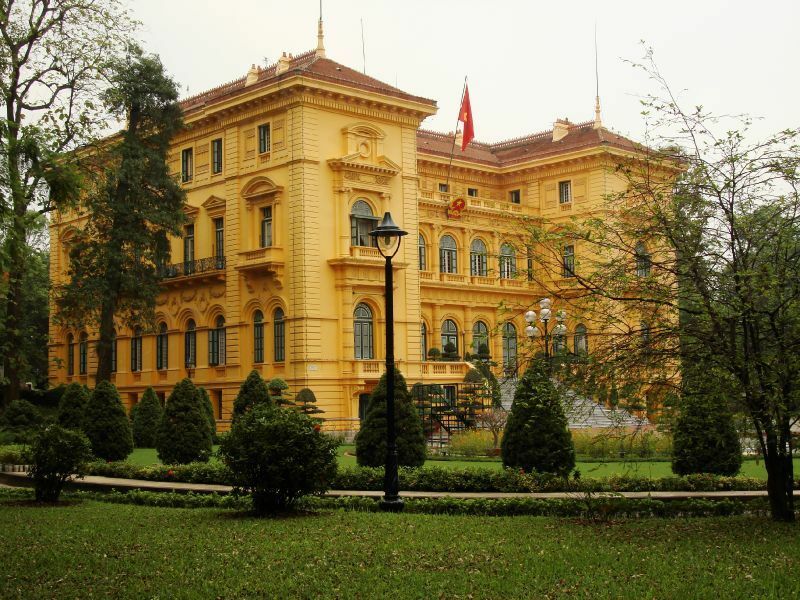 The Presidential Palace and Ho Chi Minh’s House is near the mausoleum. Refusing to live in the palace, Ho Chi Minh had a simple wooden house built where he lived until his death. Simple and airy, it overlooks mango-trees set around a small pond and is another place to come for some peace and quiet. Hanoi boasts multiple museums, including the Vietnam National Fine Arts Museum, the National Museum of Vietnamese History, the Vietnamese Revolution Museum and The Vietnamese Women’s Museum and, rather awkwardly located north of the city, is the Vietnam Museum of Ethnology. This absorbing museum gives information covering minority groups you’re likely to see on a trek and exhibits such as shaman’s masks. Outside of Hanoi, no trip to Vietnam is complete without a top to Halong Bay – literally, “The Bay of the Descending Dragon”. UNESCO World Heritage-listed, these limestone cliffs rising out of the turquoise water are dramatic, and most impressive because of the sheer number of them – almost 2,000. Cruise out of Hanoi or take a bus or taxi to Halong City, the town which overlooks the bay. While you are out this way, try to get to Cat Ba Island. There are three beaches located near the harbor town and a national park. Kayak through mangroves and lakes, discover the Hospital Cave and be sure to take advantage of the seaside restaurants as the sun goes down. You can take an organized tour here for a few days for less than $100 (although more luxurious trips are available and can be booked in Hanoi). The international airport at Hanoi (Noi Bai) receives regular flights from around the world. ● Cyclo – These bicycle rickshaws are the best way of getting around for short trips. They’re cheap but you’ll have to bargain to get the best fares. You’ll find the drivers outside main hotels and markets. ● Xe Om – Motorbike taxis are convenient for getting around, and a similar price to the cyclos. Be warned, though, these are not for the faint-hearted. ● Taxis – For traveling at night or across the city, taxis are the best (and safest) way of getting about. More expensive than Xe Om and cyclos, they are still cheap by international standards. 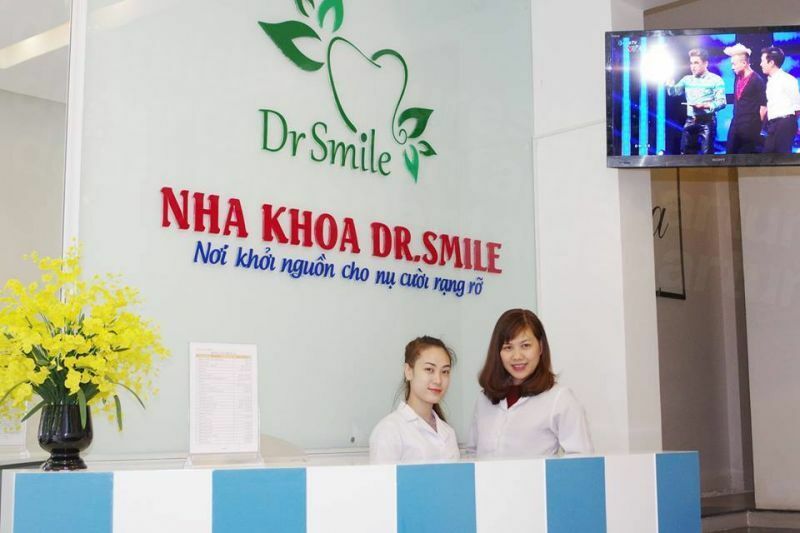 How Do I Get Started with a Dentist in Hanoi? 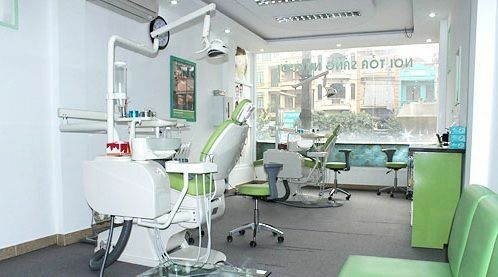 You can find and book your dentist in Hanoi directly through Dental Departures. Just click through to our listings and follow the booking instructions. If you prefer, our Customer Care team are available 24/7 to answer any questions you may have. Mitchell, Jennifer. What Is Dental Tourism? Colgate. Website accessed: 06 March 2019. Turner, Sarah. Safety in Hanoi. Travel Fish. Website accessed: 6 March 2019. Justice, Wendy. Romantic and French-Inspired: Why Hanoi is the Paris of Vietnam. International Living. 14 February 2017. Turner, Sarah. Avoiding Scams in Hanoi. Travel Fish. Website accessed: 6 March 2019. UNESCO World Heritage Sites in Vietnam. Everything Everywhere. 20 January 2019.